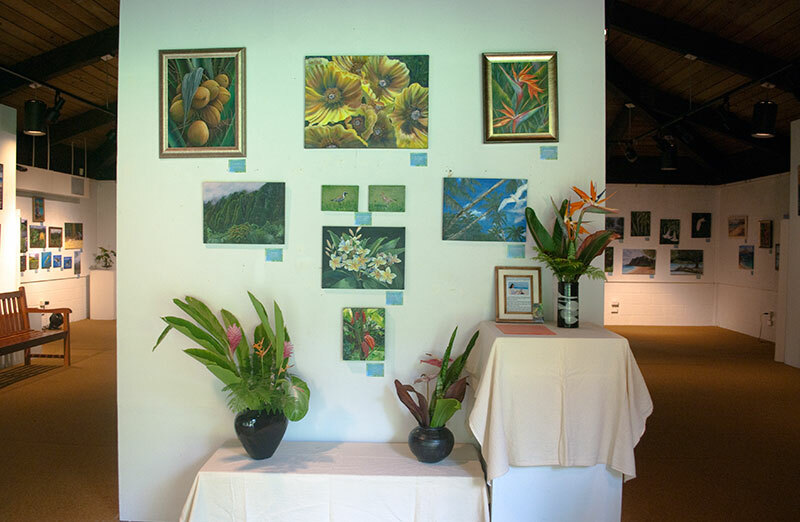 As of August 1, 2014, there is a show at Hoomaluhia Gallery (right next to the Visitors Center) featuring Kelley Fitzgerald, Penny Haleluhelani Burns, Lila Cunha, Margaret Lee, Cris, Marcia Scrivano, Susie Thain, and Wendy Roberts (yes, that’s me!). 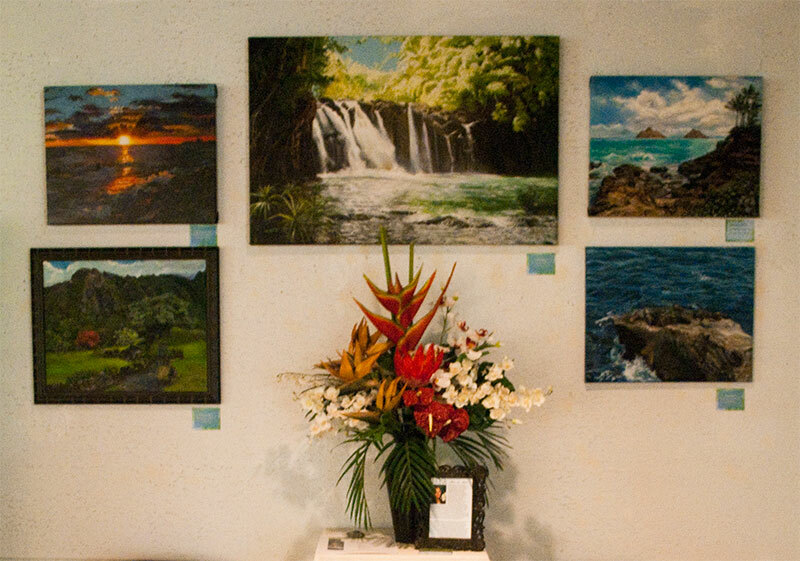 Consisting of paintings in the media of acrylic and oil paint, the group is mostly realism, and the majority of the paintings celebrate our beautiful island imagery. There are figures, landscapes, animals, florals, and more. It’s a pleasure to display work with such a talented group of artists! The show will run throughout August (ending around the 30th). I have to mention however, that the next two shows will likely also appeal to anyone who likes my work. On September 1, 2014, Marti Rounds will have her annual show large vibrant batiks, and partially-abstracted acrylic paintings that focus on fields of harmonious color. 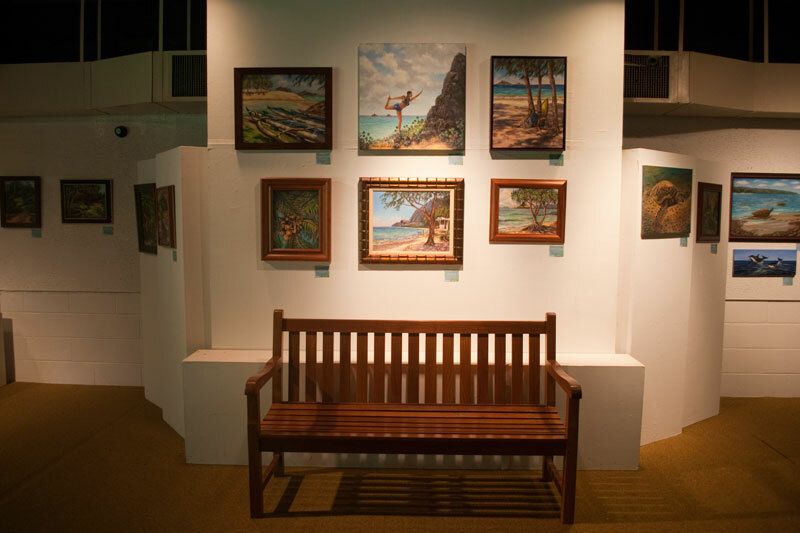 In October, the annual show for WAG (Windward Artist’s Guild) will return, where both Marti Rounds and I will be showing new pieces along with a large and varied group of Windward Oahu artists. When you visit the gallery, plan an extra hour or two to wander the grounds of the botanical garden if you can spare it. You’ll be glad you did!